CANADENSIS, Pa. - An 11-day manhunt for the survivalist accused of ambushing a Pennsylvania State Police barracks has narrowed to the rural area where he grew up and his parents still live, but the suspect has managed to elude capture despite the efforts of hundreds of law enforcement officials. Pennsylvania Gov. Tom Corbett said at a press conference Monday that he is "confident" that Frein will be caught soon. 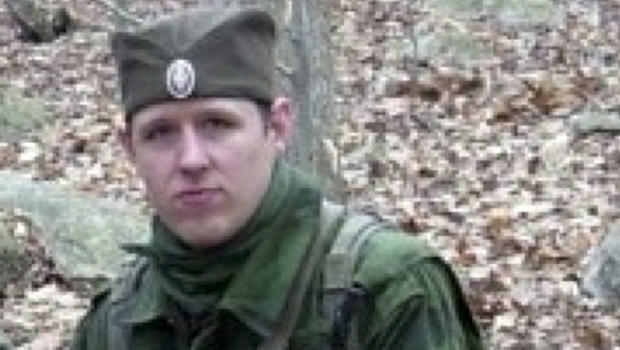 Corbett said he is "out in those woods right now" relatively near the site of the ambush. Residents have been unable to get back to their homes due to heavy police activity in the heavily wooded region of the Pocono Mountains, and tensions are running high. Searchers have to make their way through rugged terrain with thick underbrush and hills, CBS News correspondent Don Dahler reported. The American Red Cross opened a shelter for displaced residents from two townships late Monday.